We always have a selection of books with local connections for sale in the Museum with a wide range of topics from local history to guide books to poetry and photographs. We now have the new book about the Dungarvan Agricultural Show ‘The Show Story 1913-2017’ for sale at €10 celebrating the one hundredth show. This is a beautiful book packed with lovely photos and details of the history of the show and at a very reasonable price. 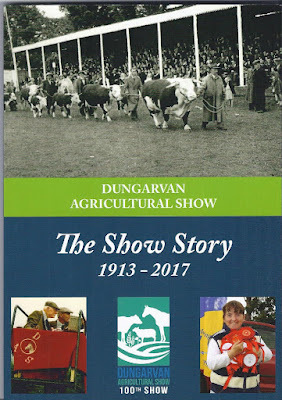 Our congratulations to the Dungarvan Show Committee on their one hundredth show. A percentage of all of our book sales goes towards the running costs of the Museum. Please do consider calling into us in Friary Street to view our selection of books.